Have you worked in Information Technology (IT) & Data Services industry for two or more years, and have you been approved for immigration to Canada? The FAST Program can help you to effectively prepare for work in the Canadian IT & Data Services sector. When you work in Canada, expectations and requirements in the workplace for both ‘hard skills’ (technical and hands-on knowledge, skills and abilities) and ‘soft skills’ (communication techniques, problem-solving skills, etc.) may be different from those in your previous jobs. Even before you arrive in Canada, FAST will provide you with online information and training on workplace practices expected by Canadian IT & data services employers. Find out if the skills and knowledge gained in your home country align with the requirements in Canada. Learn if you are ready for a job in a Canadian workplace. Experts in the IT and Data Services field will assess your skills and knowledge so that you can fill any gaps with appropriate online training before you come to Canada. In addition to the Canadian Workplace Occupational Information, Essential Skills, Culture, and Communication online lessons, you can review theory and upgrade your knowledge and skills to work in Canada in the IT & Data Services industry. 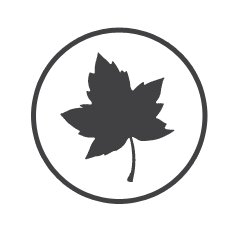 Access learning materials and resources on the knowledge, skills, and terminology for your field in Canada. 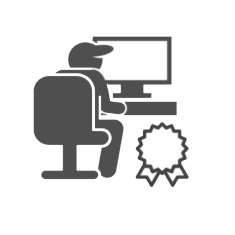 The Information and Communication Technology Council (ICTC) has created an Information Technology Professional (ITP) designation for information technology professionals – a $500 value free of cost! The ITP Certification is available to IT professionals who have recently immigrated to Canada or are in the in the process of migrating to Canada as permanent residents. ICTC will evaluate international work experience against Canada’s industry standards through an assessment of transferable skills, work experience and education. Once an application is received and reviewed, individuals will receive an ITP Certificate. REGISTER NOW TO RECEIVE YOUR ITP DESIGNATION! In the FAST Program, to ensure your IT and data services skills are recognized, you’ll be referred to the Information and Communication Technology Council’s My Career Map tool. My Career Map is a self-assessment tool and guide that prepares workers for a successful career in IT. Developed by leading IT human resources specialists, My Career Map is a professional development tool that allows users to determine their strengths, areas for development, and ability to integrate successfully into Canadian workplace culture. Information is also provided on provincial labour market trends that will increase users’ competitive advantage. REGISTER NOW TO FIND OUT IF YOUR SKILLS AND KNOWLEDGE ARE SUITABLE FOR EMPLOYMENT OR NEED UPGRADING! Mentoring matches you with Canadian experts in the IT industry. Mentors will offer online advice to assist you through your online training and provide additional information about working in IT in Canada. JobConnect allows you to create a profile in our special database and market your talent to Canadian employers. Companies who have registered for this service will be able to use the database to find qualified candidates for their job vacancies. REGISTER NOW TO BE DISCOVERED BY YOUR FUTURE CANADIAN EMPLOYER!